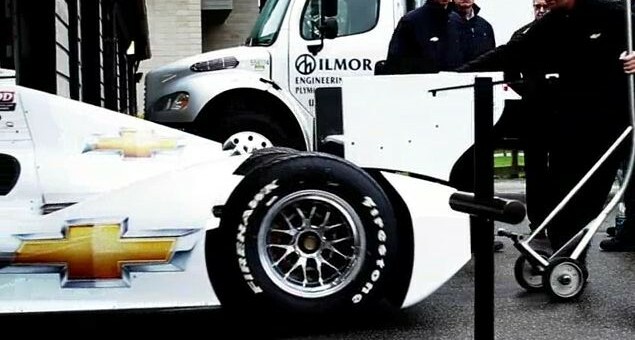 The racing world is abuzz right now with news that GM has decided to yank all 11 of its Chevrolet IndyCar engines after driver James Hinchcliffe experienced an engine failure during testing at Sonoma. The failure was concerning enough for GM to pull the other 10 engines as well and subsequently replace them all. Until now, Chevy’s had a great deal of success, grabbing two poles and two victories in the first pair of races this season. The brand currently holds the lead in the manufacturer’s title with 18 points – a full six points ahead of Honda. Now, everyone who uses a Chevy engine will be starting at the back of the pack during tomorrow’s Grand Prix of Long Beach due to sanctions. Under current IndyCar rules, Hinchcliffe, who drives the GoDaddy.com car and seems to be a victim of circumstance, will be penalized for the failure. This is because IndyCar prohibits engine changes until the units have reached a minimum of 1,200 miles, though the minimum is expected to be 1,850 miles after this weekend. IndyCar CEO Randy Bernard notes that the rule is meant to reduce costs for teams. He also pointed out that both Honda and Lotus have received similar penalties this season. Regardless, racers and fans alike are crying foul.